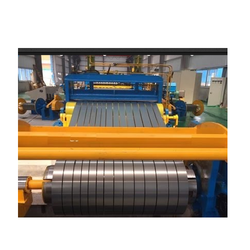 Customers are offered a wide range of Hot and Cold Rolled Sheet Slitting Lines that are manufactured using superior quality raw material sourced from the reliable vendors of the market in accordance to international quality standards. Extensively used to convert steel into coil, these products are available in various sizes to meet the emerging demands of the customers. Further, we facilitate in providing customization as per the exact specifications laid down by the customers. In addition to this, we make sure to deliver these products to the customers within the stipulated time frame. 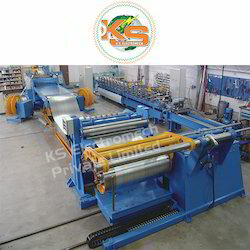 The major components of these lines include De-coiler, Snubber Roll Assembly, Pinch Roll, Strip Leveler, Slitting Stand, Recoiler Unit, Over Arm Separator, Coil Lifter are made out of tested steel & are of rigid design. Shafts for slitter unit are duly hard chrome plated for strict accuracy, better finish & longer life. All cylinders used are of high quality heavy duty hydraulic reputed manufacturer & operated by hydraulic power pack with electrical actuator. DC/AC motors & drives of reputed make are used as per customer requirement. Specifications: Available in both standard as well as in customized form at industry leading prices. 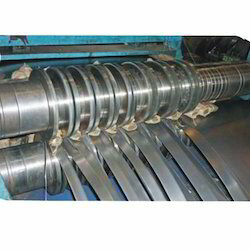 This slit allows continuous cold and hot rolled steel and galvanized steel in coil, width into prescribed strips and then rewind them in coils. The speed can be adjusted according to the requirement of the process. Offered with us a extensive gamut of slitting lines that are extensively used in various applications. Applications such as steel piping industries, paper mills and steel tube mill industry. These products are manufactured by our professionals using high-grade stainless steel procured from the reliable vendors of the market in accordance to the international quality standards. Owing to the excellent performance, superior quality and longer service life, these products are widely appreciated by the clients. With the help of competent team of professionals, we are indulged in offering a commendable range of Hot Rolled Sheet Slitting Lines. These products are manufactured by our experienced professionals using superior quality raw material procured from the most trusted vendors of the market in compliance to international quality standards. Available with crush cut, shear cut and heat cut knives, our customers can adjust these slits as per their requirement.If you are interested and want to buy the product click below. 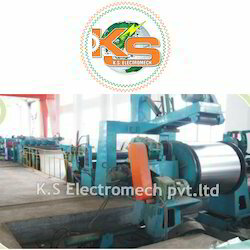 Looking for Slitting Line ?